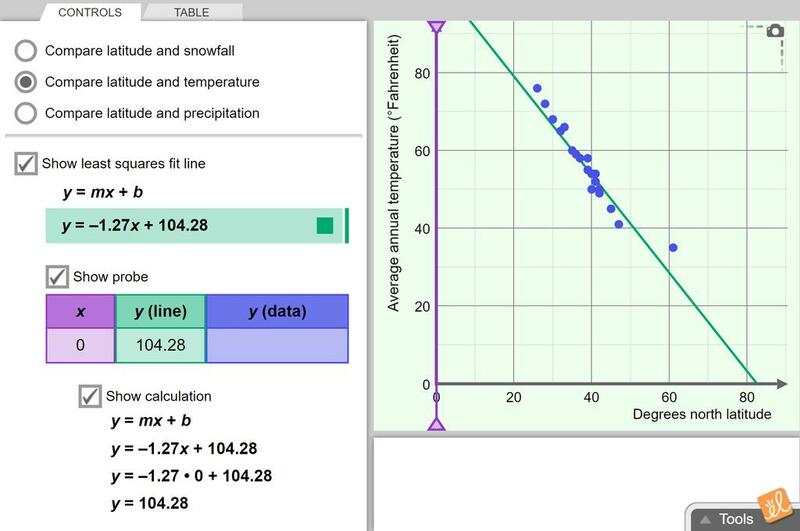 Examine the scatter plots for data related to weather at different latitudes. The Gizmo includes three different data sets, one with negative correlation, one positive, and one with no correlation. Compare the least squares best-fit line. The same exploration guide, but with blanks and spaces to answer. This gizmo helps students really work well with lines of best fit - useful for science as well.